Blog Camp is almost here…. After long wait, the moment is finally arriving. Yes, we are leaving for the Blog Camp tomorrow. With me, two of my classmates Gokul and Aswin are also coming. 5 of my seniors too are coming for the event. Devidas, Bristow, Rushdie, Denny And Rohit. They have actually reached there already. We three are planning to leave from Thrissur Railway station tomorrow morning by Chennai- Alappey express. We will reach there by noon. We have arranged our stay at a local hotel. 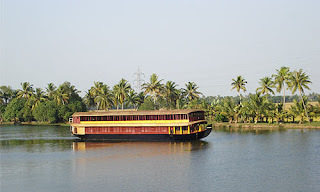 After keeping our luggage there we will be exploring Alapuzha till evening. Our main destination for tomorrow is Alapuzha Beach, which I have visited long time ago. And please note that till now there are no “shaaps” in Alapuzha as a part of our itinerary. The first Blog Camp of Kerala is scheduled at 9:00 AM on the 16th August, i.e Saturday. We board from Punnamada Jetty at 9 AM to the largest house boat in Kerala, that has been provided by the event by Kerala Tourism. This is going to be a helluva event. 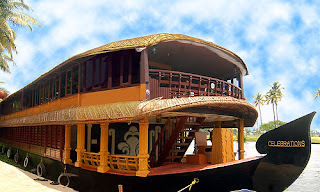 Meeting great bloggers from Kerala, some talks on blogging and all this on the biggest house boat in Kerala and also through Vembanad Kayal in Alapuzha, a beautiful place. Altogether this is going to be a breathtaking experience. Blogging these days is much more than a tool for communication for many, its a way of expression, a freedom of sharing thoughts across cultures, an open communication channel, it has been more than a medium, it has been changing lives for those relying on it for opinion, expression and entertainment. BlogCamp Kerala is an event conceived by a group of volunteer bloggers who want to meet up and share ideas and have casual discussions about blogging, internet, technology and more. The main essence of the Blog Camp Kerala is “Unconference”. Blogging for the most of us is a passion first and a profession next. We celebrate unconferences in its best, thanks to its power of active participation, and its wholesome fun. For me blogging was just a past time. I have never taken it seriously. That is all past. It was last Thursday that I saw the above given news. It really changed my attitude towards blogging. Just the fact that there are so many bloggers in Kerala made me rethink. Did I forget to tell? I am going to take part in the above event. Its a great honor. Especially for a rookie like me. Getting the chance to meet so many professional bloggers and interacting with them, especially in a house boat of which even the photos left me speechless, is the best offer any junior blogger can get. And there is another fact that this all comes free. This further cements the fact that all good things comes free, like linux. Will post more after the event is over. jithin on Who Be Ye!! !